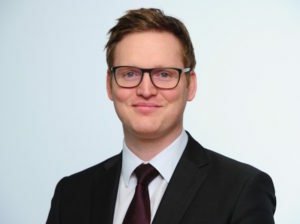 FCA has appointed Andrew Tracey as brand country manager, Alfa Romeo and Jeep, with immediate effect. Tracey takes over from Damien Dally who has moved to a role in Fiat Chrysler Automobiles HQ, in Turin, and brings more than 15 years’ experience across senior roles in automotive sales, marketing, product and planning functions, most recently as head of marketing at SEAT UK. Key ways to improve road safety include reviewing claims and incident data and looking at performance against safety targets. 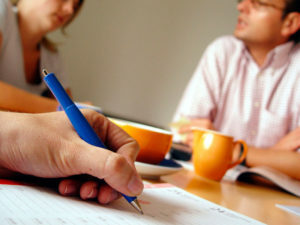 The most effective way for fleets to manage rising insurance costs is by working to improve their driver safety record. So says Arval as latest ABI figures show the average motor insurance premium has risen by 8% since Q1, 2016. Key points that needed to be covered according to the firm include raising awareness of good driving practices, reviewing claims and incident data, looking at performance against safety targets and making line managers accountable for the driving behaviours of their direct reports. Average values for fleet and lease stock reached a new high point in April. BCA has reported a new record for average values in the fleet and lease sector for the second month in a row. April’s small month-on-month rise of £18 established a new highpoint of £10,473. 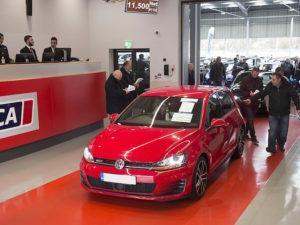 Retained value against original MRP (Manufacturers Retail Price) fell slightly to 42.87%, while year-on-year values were up significantly, rising by £574 (5.7%), as both age and mileage continued to decline. The headline average value rose above £9,000 for the first time on record, having climbed steadily during 2017. This new resource is available free of charge to all Brake Professional members. 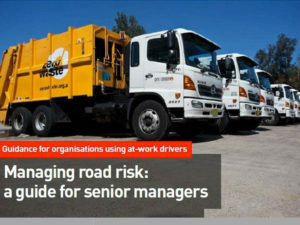 Brake has published a new report on ‘Managing road risk: a guide for senior managers’. The guidance outlines how to make the business case for fleet safety, including cost saving, legal compliance, and moral and social responsibility. Practical advice on how managers can shape their workplace driving culture is also presented through best practice case studies. This new resource is available free of charge to all Brake Professional members through www.brakepro.org and can be ordered by non-members from the Brake shop, or by joining Brake Professional. 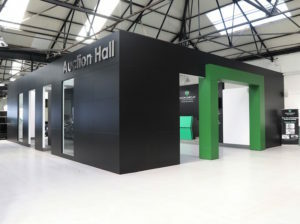 Aston Barclay’s new, fully branded auction hall and rostrum are the main focus of the improvements to its Leeds site. Aston Barclay has invested £500k in refurbishing the customer and employee facilities at its Leeds centre. The new auction hall, vendor and customer booking facilities are aligned with Group-wide branding and bring the total group centre investment to £1.7m in the last 12 months.